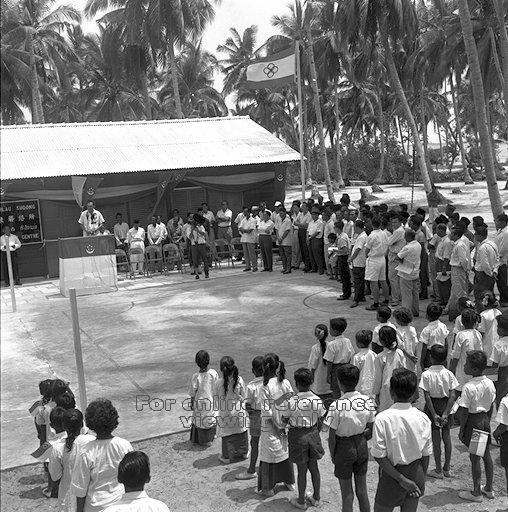 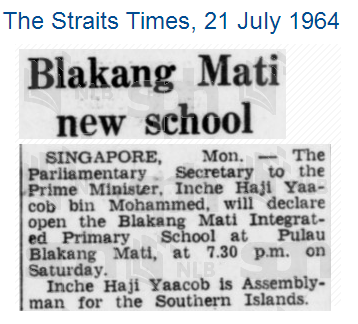 Then-Prime Minister Lee Kuan Yew laid a foundation stone for a Malay school in Pulau Blakang Mati during his tour of the Southern Islanders constituency. Discussion on a fellow nostalgia blog 'Times Of My Life'. 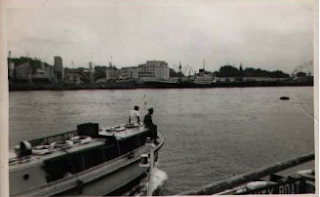 Article on the opening of Pulau Blakang Mati Integrated Primary School in July 1964. 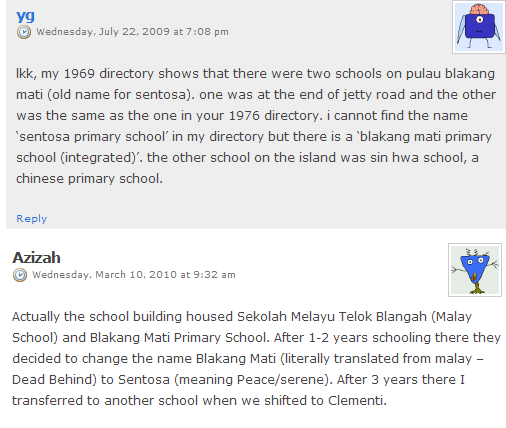 Ferry fetching students to and from Pulau Blakang Mati and Pulau Brani.